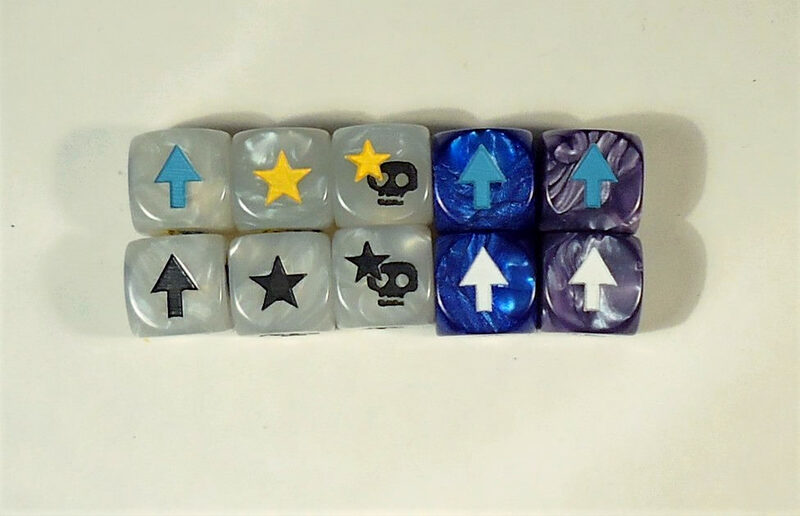 In addition to Black what colours should the other 2 dice be? A thread in the forum will be created when they are ready. That won't be for a couples of months. British or British based and looking to join a League? I'll be posting progress updates in this thread and answering questions. When I am getting close to being ready to create the selling thread I'll post here, in my blog, on TFF, on twitter and in my facebook group to give notice. Are you using Gamestation again? If not, who? I don't know who that is. It is who they used for the 1st set I believe. Ah, well that was SunDevil who did the initial batch and I assume they were a US based company. I'll be painting the images myself and the dice look slightly different. The finish of mine is more matt and the faces are circles rather than squares with rounded corners. I've painted up a set of the white pearl as a test to see how they look compared to just being all black. I think they work but wanted to see what others think. I also painted an arrow for both the blue and purple pearl. I'm not as convinced with these, if anything the blue works better as the purple is rather light and close to the blue arrow. I don't think either of these would be that clear when rolled on the table. Opinions? I'll either be painting all or none of the 3 pearl colours depending on which is the most popular. All the black opaque will be painted either way. White pearl looks great with the colors. Not so sure with blue and purple. Yes blue and purple clashes badly for me. I'd substitute the blue for lime green, would go nicely with the purple for an old school cyberpunk feel?